I am excited to say that Lilly absolutely loves the water. At first she didn't quite know what to make of the massive body of water around her, but by May she was having a blast and splashing up a storm. She also loves her bath time at night too, I think we have a water baby! I love it! 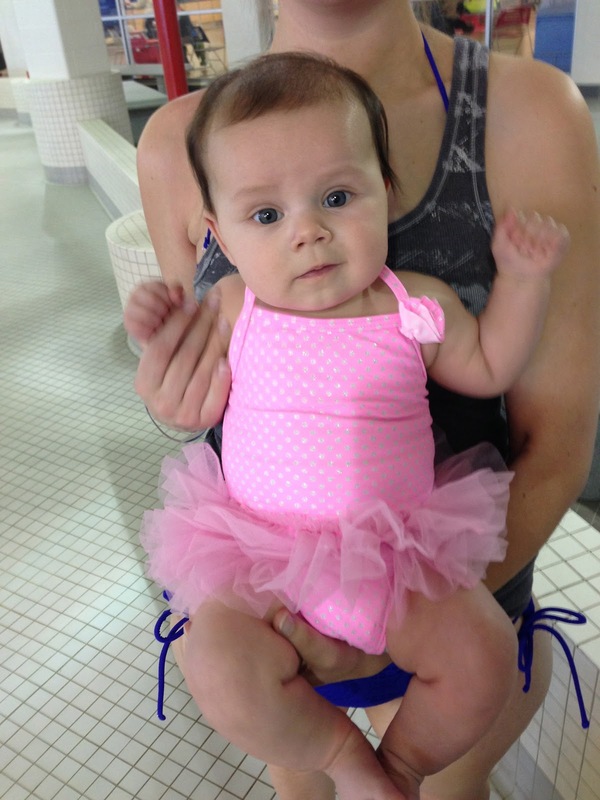 I am going to wait until the fall to sign her up for some more lessons, but in the meantime I hope to visit some of the indoor pools nearby (on cooler days) and hang out by the outdoor pools this summer too! I can't wait. I am dying to get us signed up for some lessons! sounds like such a fun thing ! wow they are so adorable. This is a good post, I appreciate everything you have added to my knowledge base. I only promote a product if I truly believe in it and charge depending on that. The Channel 10 reality series wrapped, Turnbull has been busy boosting his social media profile and has named his fans the Squad January he teamed up with a jewellery designer and released a range of limited edition bracelets. The range features five unique designs, each representing the values of strength, love, friendship, gratitude and inspire. Since he took office in 2013, Cruz seems to have made only enemies. His fellow Texas senator, Republican John Cornyn, said it was a mistake for him to show up at xxxtentacion shirt the Republican National Convention last year. "If you killed Ted Cruz on the floor of the Senate, and the trial was in the Senate, nobody would convict wifey shirt you," Sen.
On the off chance that you have been thinking about Champagne Pools getting a pool for your home, you might ponder what alternatives you have.